Returning for another year, 2016 Topps Limited Baseball Complete Set again puts a premium spin on flagship Topps. While collectors already have a standard assortment of 2016 factory sets, 2016 Topps Limited Baseball Complete Set works in a quality angle and packaging. All 700 base cards from Series 1 and Series 2 are printed on 24-point card stock and stored in a special box. There is no word yet if it has been continued this year but the 2015 Limited set futher distinguished itself with a gold foil finish. 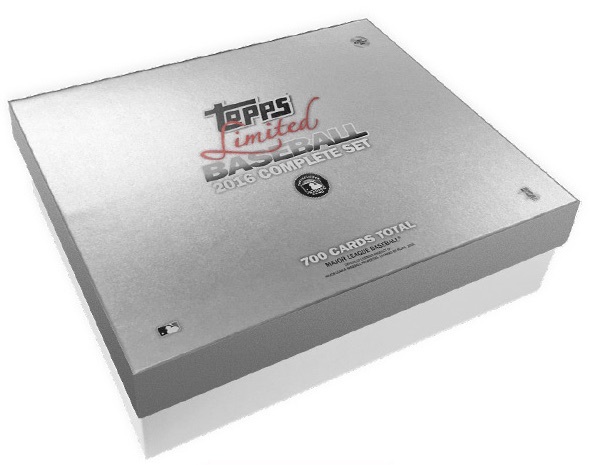 An exact print run was not provided but 2016 Topps Limited Baseball Complete Set totals less than 1,000 boxes. The premium factory set is exclusive to the Topps Online Store and carries pricing of $99.99. Unlike many of the other factory sets, 2016 Topps Limited Baseball Complete Set does not come with any additional exclusive inserts or parallels. 2016 Topps Gypsy Queen complete set of 300 cards.